You all know the drill, it is Thursday! That means I write as quickly as I can about five different topics. Hang on if you don’t want to get left behind, here we go! BABY – Tomorrow I will become an uncle! My sister will go in for surgery on Friday so doctors can deliver her daughter. Names are narrowed down but it will be a hospital room decision on what the baby is ultimately called. Although I will be very far from my new and first niece, I look forward to Thanksgiving when I get to make the trip back to Spokane and meet her. 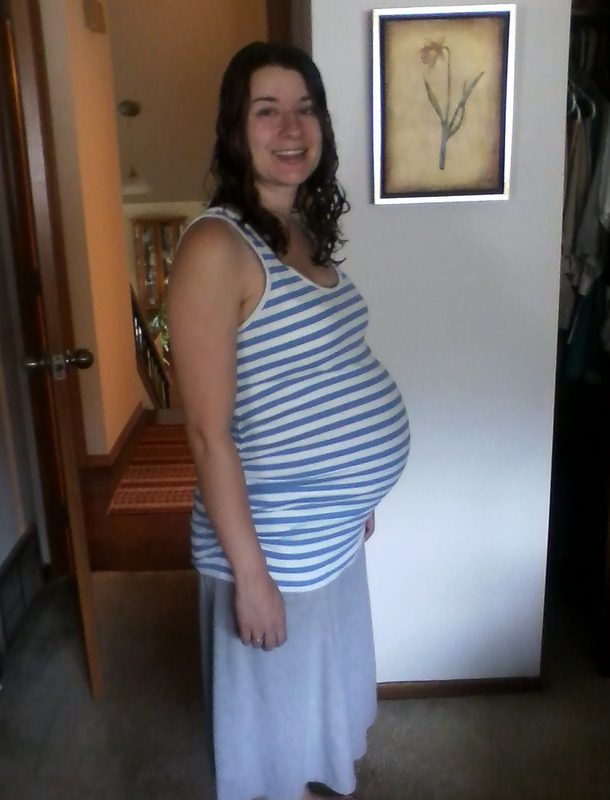 My sister will have her baby tomorrow. Bucky Covington – Remember Bucky Covington? He got a lot of play on country radio one summer for the songs “Different World” and “Good to be Us.” Well, he has fallen in popularity a tad since then. Last Friday night I watched him perform from inches away at the Boathouse, a bar and music venue in Myrtle Beach. The haggard looking Bucky got up on a tiny stage in front of about 80 people and did the best he could. He had two band members with him, including his twin brother named Rocky. He sang his two hits and a whole bunch of covers. He even managed to attract a couple of groupies. After his set a guy named Warren Stone, who was supposedly a strong contestant on “The Voice,” also performed. 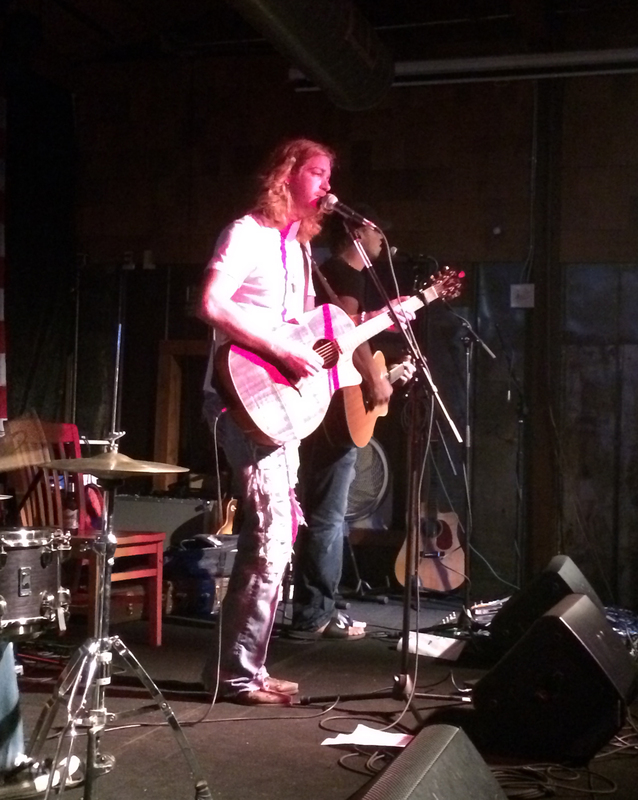 My up close view of Bucky Covington on Friday night. 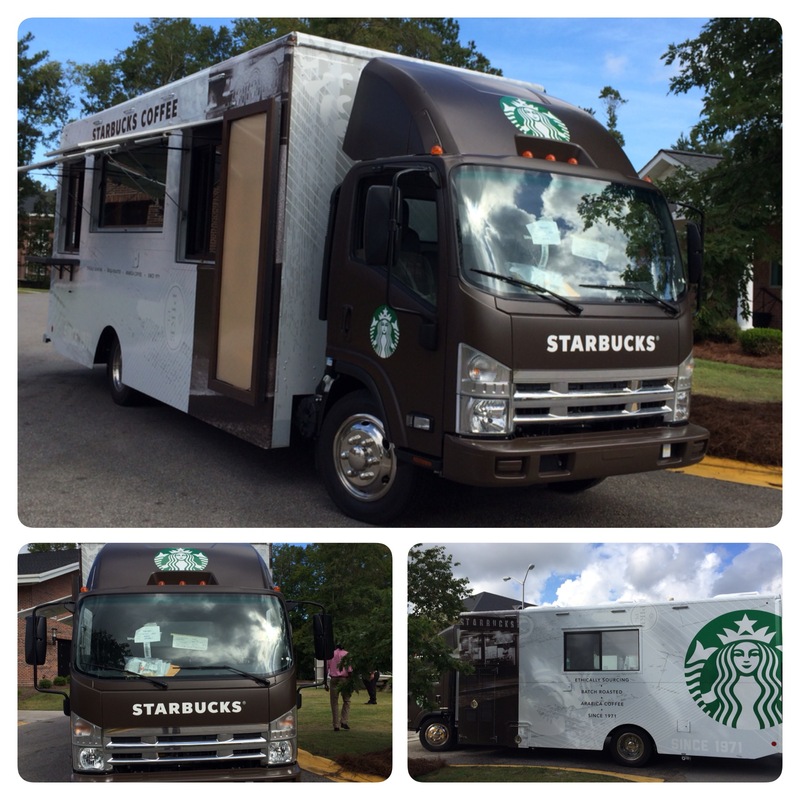 Starbucks on Wheels – Today something arrived on campus that had our whole community rejoicing: A Mobile Starbucks Truck. Coastal Carolina University is just one of three colleges in the nation that gets to take part in this Starbucks pilot experiment. The coffee giant sent us the vehicle which is a fully functioning Starbucks restaurant on wheels! It will move around campus strategically according to different times and when certain events are taking place. When I posted images and video on our social media outlets today our students went bonkers. Now if only I shared their enthusiasm…I hate coffee. Here are some of the photos I snapped today of the new Mobile Starbucks Truck. On Assignment – A cool thing about my job at Coastal Carolina University is that I get to work on cool projects that I didn’t have the opportunity to do at my last stop. One of these projects is writing for our alumni magazine. Yesterday I got to visit Sparks Toyota and interview CCU alum Patrick Sparks. I chatted with him for 25 minutes and obtained some great material to write an alumni profile piece. I will submitted my first draft to the magazine editor this evening at the end of work. Pretty soon my writing will be published in a magazine! Start of the Most Popular League – The NFL season kicks off tonight as my favorite team hosts the Green Bay Packers. I plan to watch the second half of the action as I will be at the Myrtle Beach Pelican playoff game that starts at 7 p.m. I am already bracing myself for the social media onslaught that will occur on my Facebook newsfeed as the Seahawks hit the field. It is great to have the NFL back but I still prefer college football over it any day! By the way, make sure to look for my twin on the field! Time to get off to the ballpark for tonight’s game. Hopefully no marriage proposals. Best of luck to my sister tomorrow! You can expect photos and most likely a blog post about my new niece. Have a great evening and weekend. Don’t Blink.